Soapnuts or Reetha as they are known in Hindi are miracle nuts. Actually, they are not nuts just berries. I know my mum used it along with some other lovely stuff to wash her hair. But it never appealed to me. It requires work and doesn’t look as appealing as lovely smelling, colourful stuff in bottles. What can I say, with age comes wisdom. 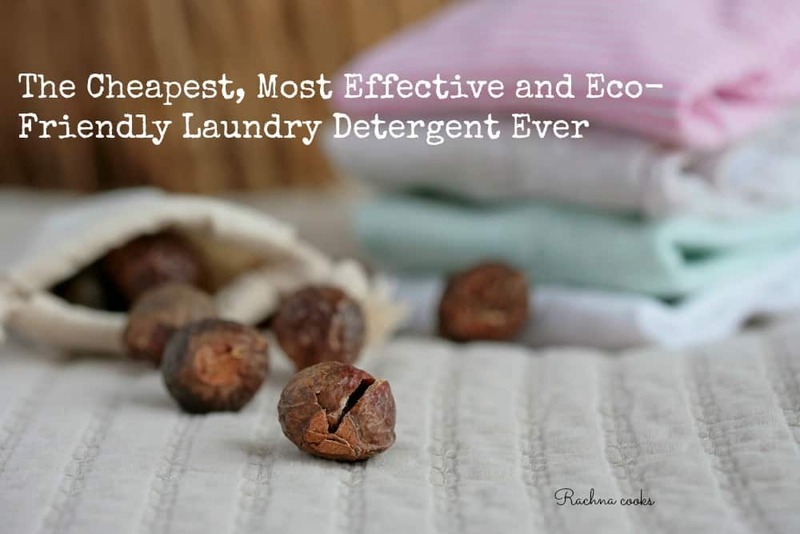 So, since last year, I’ve been using soapnuts to wash my laundry. And, the experience has been fantastic You can’t tell the difference if I didn’t tell you that I had ditched my expensive laundry liquid detergent for this ecofriendly homemade detergent using soapnuts. Yes, it’s so simple and effective. These are whole soapnuts berries. They have something called saponins or surfactants which help in cleaning. From clothes to dishes and hair and face, they have been used for thousands of years in India for cleaning before commercial cleaners came along. For one single load in my washing machine, I just take about 8 soapnuts in a fabric bag. You can use a used sock if you don’t have a fabric bag. Secure with a string or rubber band. Throw it in your washing machine and then put in your clothes and wash as you would normally. Yes, it’s that easy. Your clothes will come out clean, soft and with almost no smell. I use the berries for 2-3 loads. Yes, they are reusable. I’ve heard people using them for 4-5 loads as well. Discard when the berries get very soft and pale in colour. Just compost the berries after use and the water from your washing machine being devoid of chemicals is very safe to let off into the water stream. Isn’t it fantastic? I sure think it is. And the best part, it is so economical. A Kg. of this stuff will easily last you 6-8 months, even if you wash your clothes daily. While the above method is the simplest and best for the lazy me, you could also try making a liquid from the soapnuts if you prefer using a liquid. Just soak about 15-20 soapnuts overnight in 3 cups water. Bring them to a boil in the soaking water and add another cup of water to it. Simmer for about 30 minutes. These hard berries will become softer after soaking and boiling. Crush them further to release some more of the good stuff. The soap solution is pale brown. Cool and strain. You can store it for about a week in the fridge. After that it spoils. Or you can freeze it. Then use one cube (equals one tablespoon) for doing your laundry or as a dishwashing liquid. Easy, isn’t it? You generally need about a tablespoon for one laundry load. For heavy soiled load, add in more. 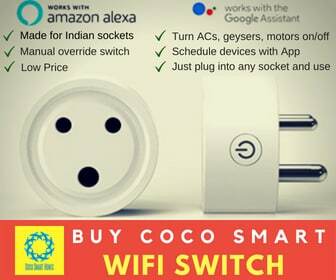 You can easily buy it from your local kirana or neighbourhood store. If not, there is always Amazon. I bought mine here — Reetha Soap Nut Shells, 1 kg . The quality was really good and these were shelled berries that I got along with a fabric bag. You can also buy powdered soapnuts from the market or make yours at home. The only hitch, you can’t reuse powder unlike berries. I also have been using homemade shampoo using soapnuts. Will share that recipe soon with you. So what do you say? Are you ready to try out soapnuts in your home? It is cheap, ecofriendly, efficient and gives you really clean clothes. What’s not to like? This post contains affiliate links. This means that if you click on them and buy, I get a small commission at no additional cost to you that helps me keep my blog running. 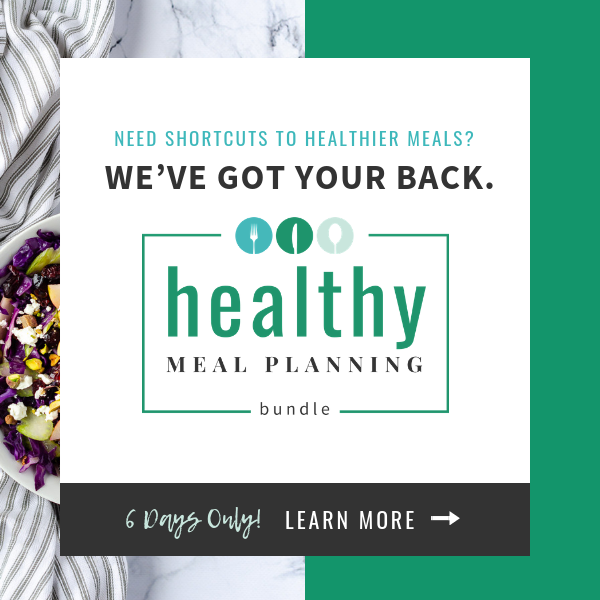 Please know that I only promote products that I actually use and have found helpful. Banega Swachh India: Health and Sanitation for all! That’s nice to know, Shalz. Yikes, your experience was terrible. Yes, it should not go into the eyes. That stings. Sounds great, it is really an eco-friendly detergent ! Ok I had absolutely no idea about this. Does it take out the stains as well? I love the fact that it is so harmless. And I am glad your are spreading the knowledge of good old natural ways ? Thanks Raj. Yes, it can take out stains. Just pre-soak abs then wash.
Oh I wish one day I have time to try this. For now I’m going to be lazy. Love how many varied things I get to know from you ? It actually takes no time. ? That sounds interesting, Rachna. I have a few questions? Does it affect the fabric or the colour? What about white clothes? The commercial detergents are actually spoiling the clothes sooner and I really want to ditch them if I can. Do share the shampoo recipe too as I am only advised to used mild shampoos and the ones available at medical stores cost me a bomb. Thanks, Rekha. No, I haven’t noticed any changes in the fabric or colour. I wash white clothes as before like kids’ uniforms and no problem there. Actually this is considered gentler on fabrics like silk. For stains or soiled clothes soak with soapnuts overnight and scrub with hands before washing normally. Wow! I had never heard of this! :O Thank you so much, Mam. I would love to try it out. I had some questions similar to what Rekha asked before. Great to read your reply. I’m definitely going to try this out as I’m tired of the detergent clumping up in my machine. I think you will like using it. I got them from Amazon. Shared the link in the post. They send it within a week. 🙂 My mil also got me some from her neighbourhood store in Hyderabad, so I have some ready stock now. Mum used to add shikakai to these soapnuts and we would use it to wash hair. I would love to use it now too as it is way better than the fancy shampoos, but, I am too lazy to do all that extra work. And, you, by the way, are NOT lazy, babe! 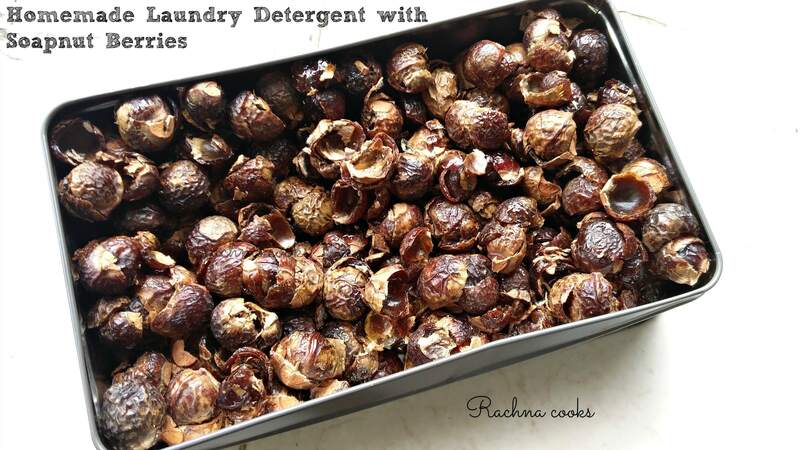 Lovely idea using these nuts as washing detergent! Once you have soapnuts, all you need to do is use them in a fabric bag, no extra work really. I’ve heard about this ever since a friend talked about it last year. Never got around to using them! Yeah, lazy me would be the best fit. Reminds me of how we used to have shikakai baths only as kids and now I use shampoos! Gosh, how we’ve given up the good old treatments for convenience. But your idea is very tempting. Old socks are a-plenty! Plus, Amazon delivery! No excuses now, I guess. Am a bit tired of the detergent smell in the clothes too! Thanks for this, Rachna! Definitely adding to my to-do list. Will see if I can order ASAP ? One question: The nuts, when they are put inside the machine, don’t cause a rattling noise? I guess it won’t harm the machine, right? Exactly! Since this really does not require any work once one has the soapnuts, it was easy to adopt it to the daily routine. I am glad that you are giving it a try. ? About your question, these get pretty soft when immersed in water. The ones I order from Amazon have their piths removed and are quite soft. No, there is no sound abs it does not harm the machine. You could always put them in the detergent dispenser slot. Nice to know….Do we need to take out the soap nuts punch during rinse process? I don’t but it is fine to do that. I have used soap nut to wash my hair as a young girl and in recent years too. But this is something new to me, never thought of it as a detergent!! I dont get it in the place I live, but yes I know no excuses. Amazon zindabad!!! !